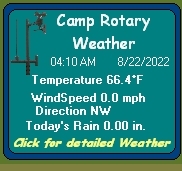 The Rotary Scout Reservation is a non-profit organization dedicated to preserving a 200 acre wildlife refuge in Temple Hill, Ky. Camp Rotary is restricted private property for the use of scouting and other youth group organizations for today's children and generations to come. The resources and environment of Camp Rotary must be protected to ensure a sustained habitat for resident and transitory wildlife. Reservation requests are used to limit our impact on the environment. 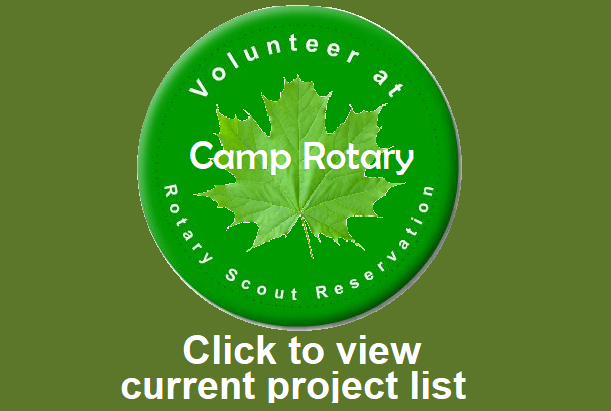 If you are interested in visiting Camp Rotary, please contact Treasurer-Ben Rogers, Judge Benny Dickinson or another Rotary Scout Reservation Member.